One provision of RLUIPA provides that “[n]o government shall impose or implement a land use regulation that . . . totally excludes religious assemblies from a jurisdiction.” 42 U.S.C. § 2000cc(b)(3)(A). Eagle Cove claimed that the Town of Woodboro — a Town within Oneida County — had adopted a “total exclusion” by barring year-round recreational camps. But the Seventh Circuit ruled against Eagle Cove. It found that the relevant “jurisdiction” was the County, not the Town, because the Town had relinquished zoning authority to the County. And within the larger County, Eagle County “could construct a year-round Bible camp on thirty-six percent” of the County’s land. 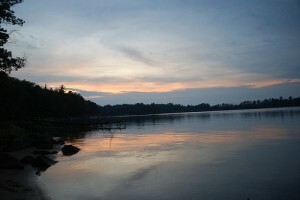 The County had a compelling interest in preserving the rural and rustic character of the Town as well as the single-family development around Squash Lake. To do this, it zoned the area around Squash Lake for single family purposes four years before Eagle Cove first sought to build the camp. The zoning regulations do not seek to inhibit Eagle Cove’s religious activity; they merely encourage an area of quiet seclusion for families around Squash Lake. The court rejected Eagle Cove’s Free Exercise claim for similar reasons. It further found that Eagle Cove had a reasonable opportunity to hold its camp at an alternative site. Finally, the court rejected Eagle Cove’s claim that the County had treated religious institutions on less than equal terms with similarly situated institutions. The County established the regulations to protect the single-family home environment, and the regulations forbid all year-round recreational camps, not just religious ones. Image courtesy of Flickr from Joshua Mayer.